Your on a first date and you’ve just had a lovely romantic meal. Who asks for the bill? and most importantly, who pays? Well, according to a new dating survey, more than half the men questioned revealed that they shouldn’t always be the ones to pay for a first date. They also suggested that “modern dating” meant that men don’t have to pick up the cheque any more. 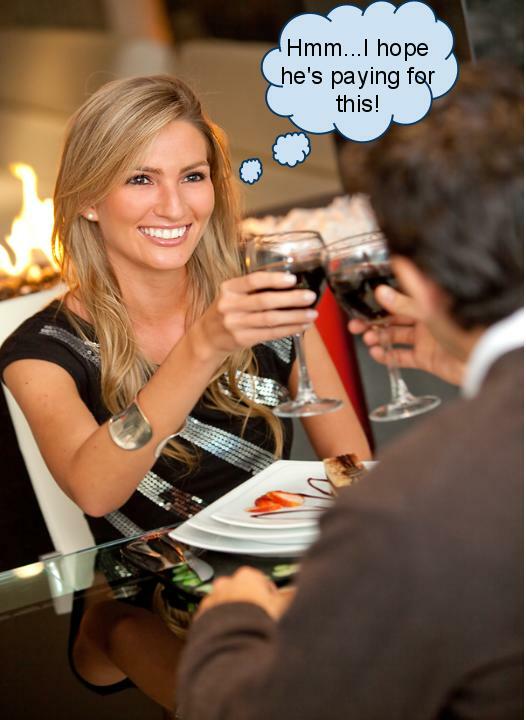 The survey, commissioned to mark the release of Date Night, also showed men are tightening the purse strings – with one in 10 saying they limited themselves to spending £20 to wine and dine women on a first date. A staggering 86 per cent of women believe men should hold the door open for them and a quarter of women think men should always pick up the bill! So what are you thinking? Would you be offended if your date didn’t offer to pay? and is there still an expectation for guys to pick up the bill?